Whether you admire the music or not (and I do) and whether you like her voice or not (and I do), you owe it to yourself to see Karita Mattila in The Makropulos Case at the Met. Rarely can anyone have owned that stage the way she did at tonight’s opening. There are four remaining performances. As long as I can remember, I’ve heard lots of sniggering over John Cage’s composition of that name. People often assume that it’s, at best, a joke or, at worst, an imposture. Not everyone is convinced by the composer’s explanation that, even in the most silent public space, there is going to be noise and that the truly sensitive listener should learn to be aware of all of it. If that noise is only the sounds of respiration or seat-creaking or the subway going by, it may take an exceptional person to find them rewarding. But look at the photograph above. 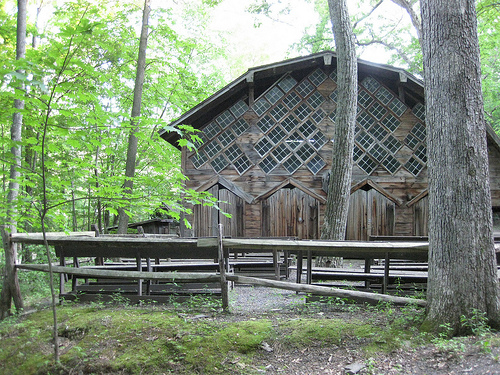 That‘s where the premiere of 4’33” took place in a summer night surrounded by the sounds of nature. Now can we agree that Cage may have had a point? 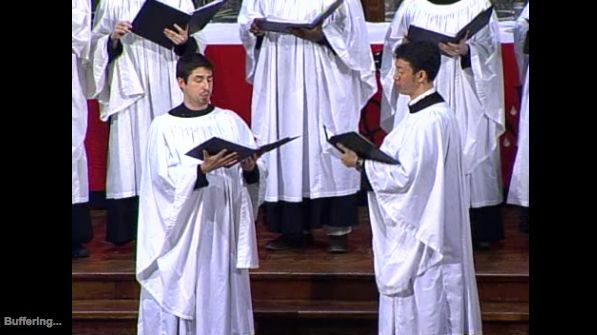 Like many others, I’ve been completely consumed with doing music for the great liturgies of the Three Days. 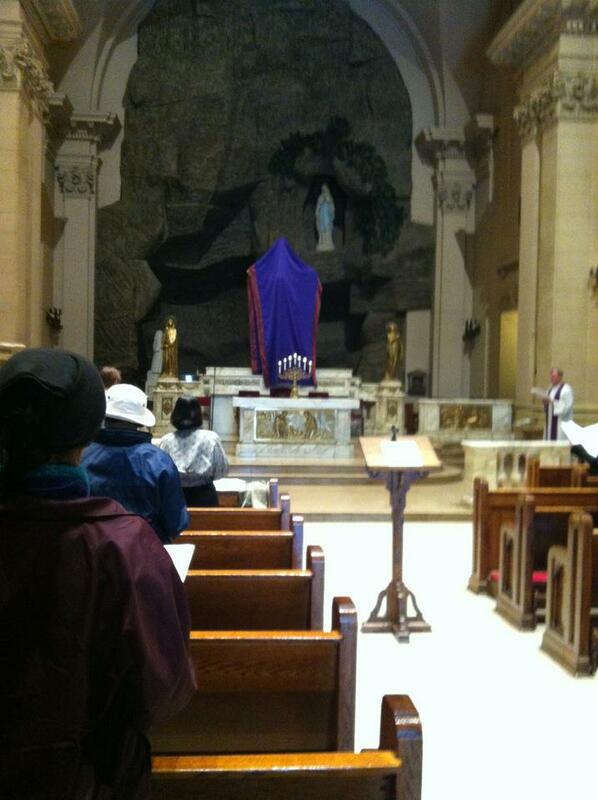 Pictured above, from this morning, is the third Tenebrae liturgy, at the Church of Notre Dame here in the city. 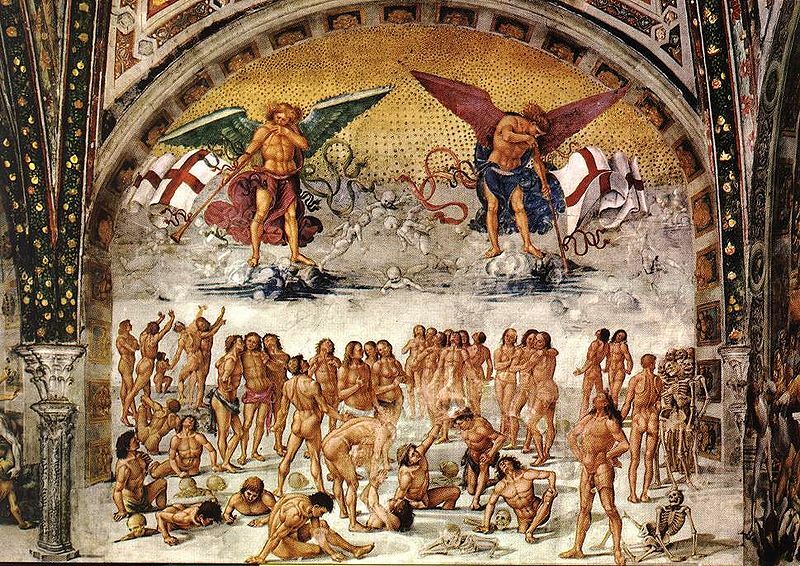 Tonight comes the climax, with the Easter Vigil in the Holy Night. The main takeaway I get from this performance is that this quite effective presentation of the Passion is musically as good as the compositions of quite a few highly popular or award-winning “classical” composers. If a choir of good professional singers can improvise this kind of music, what does it say about the guys who are lauded for putting on long faces and composing it?